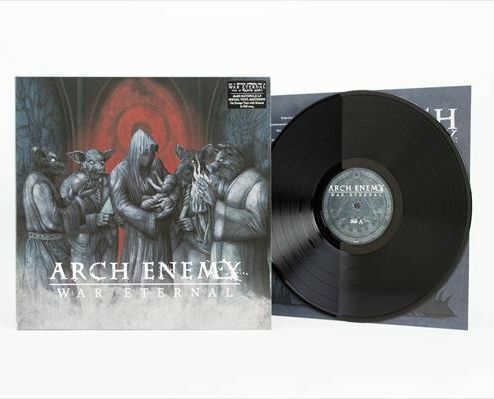 ARCH ENEMY - WAR ETERNAL BLACK VINYL (LP) | Online Shop | Wizard LTD. Album: "WAR ETERNAL BLACK VINYL (LP)"
This is the new, 10th studio album by metal icons ARCH ENEMY, which is destined to continue the band’s global conquest with raging riffs, roaring vocals and anthemic melodies. Produced by the band and mixed and mastered by Jens Bogren (Opeth, Paradise Lost) at Fascination Street Studio.